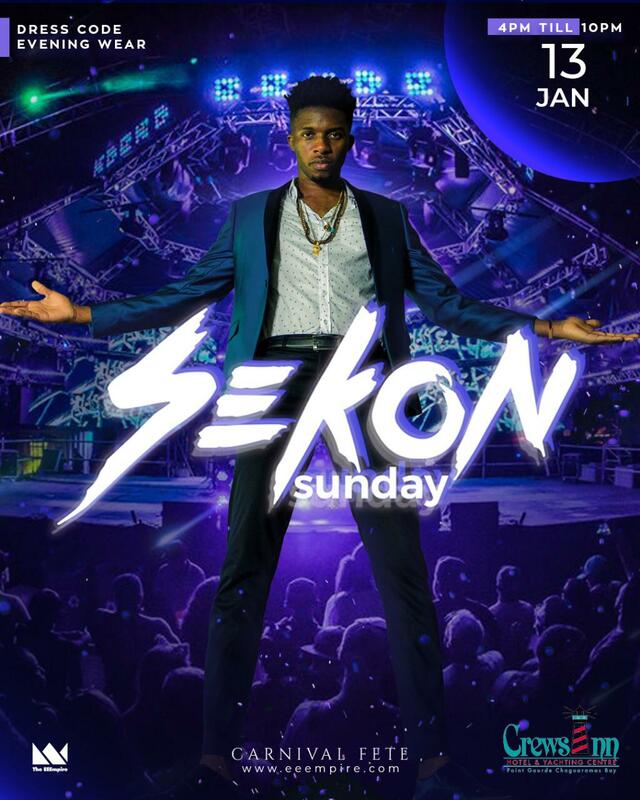 Sekon Sunday is a celebration of Soca Music surrounding the career and repertoire of prodigy Soca Artist Sekon Sta. Sekon Sta is a prolific Trinidadian recording artist born the son of famous Calypsonian Merchant. Sekon Sta pioneers the movement of new generation Soca and is prepared to put on a show like no other. On the second Sunday, Soca LIVES!